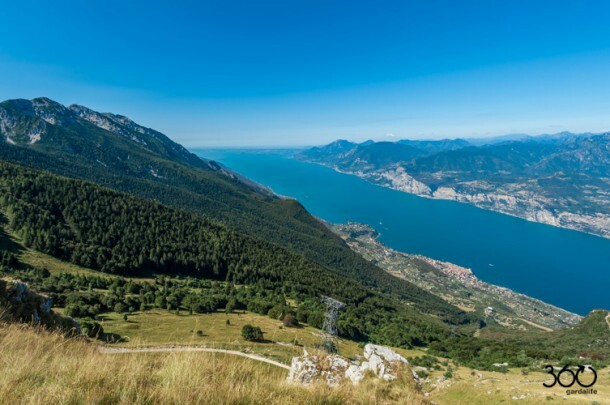 After having written about the trails of Monte Baldo, the villages of Brenzone, kitesurfing and windsurfing at Lake Garda, today I’d like to tell you something about me, about my work and my love for Lake Garda. Lake Garda is surrounded by mountains but its southern shore reach the flatland of the river Po. Water and mountains all in one place; are you already thinking about what you could do here? 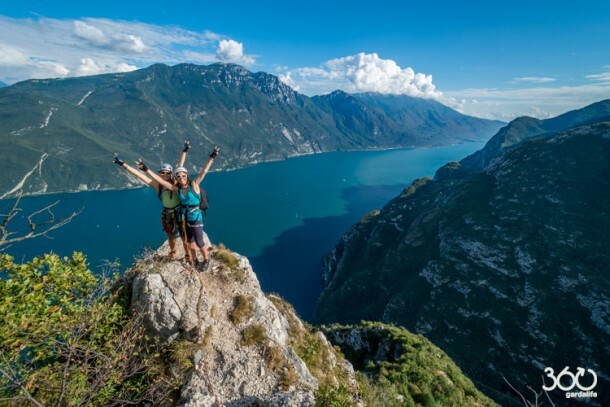 Here on Lake Garda there is so much to do, that you probably feel bewildered trying to plan your perfect holiday. I expect that this has already happened to you! Between watersports and mountain sports, you could spend a whole month on the Lake without getting bored. Anyone can find sports to do here and have an active holiday while surrounded by beautiful landscapes. No matter what your sports skills are, you can definitely have fun and feel good. Tell me, how can you not fall in love with this place! Let me introduce myself better. My name is Angela, I’m 37 and I’m from Malcesine. I do lots of sport and I deal with photography and content marketing. A few years ago I started the website 360gardalife to talk about sports. “360gardalife is a website: a mixing pot that is part magazine and part blog. It is put together by local sportspeople and it’s free! It should be useful and valuable to everyone who is looking for good information about sports on and around Lake Garda. In this photo you can see us on one of the most scenic spots of the famous via ferrata F.Susatti Cima Capi. I love this via ferrata: I do it at least once a year. The landscape is so beautiful that, despite its easy level, this path always makes an impact on me. I’ll leave you with a hint about a secret spot that very few know about, and a couple of holiday offers on Lake Garda. Baloc is a rock face hidden between two other cliffs, open to all but known to few… get your rucksack and go because it is really worth while. You get here by walking for an hour from Sommavilla di Brenzone. During this trip you will move around on foot and with the sup, having the chance to get to know our landscapes and also having time to walk leisurely in the streets of the old town. You will stay for 5 nights in Malcesine, in a 3-star hotel, in a double room with breakfast. This is the perfect holiday for anyone who wants to relax and to experience leisure activities that are not too demanding. An active holiday including introduction courses to windsurfing and to sup and a guided mtb tour near Lake Garda for beginners. This holiday is planned for those who want to spend their free time trying new sports. It does not require any special physical preparation, you just need to want to have fun. Stay for 7 nights in Malcesine, in a double room in a 3-star hotel, with dinner and breakfast included. Adrenaline and lots of fun too in a spectacular and otherwise inaccessible setting. The Palvico River is located in the Ledro Valley, the first part is easy and you end your adventure descending for 50 meters. This canyoning is suitable for both first-timers and for those who have already done it . Want a dream vacation in the 360gardalife style? We can package it up for you, made to measure! Just tell us what you would like to do .